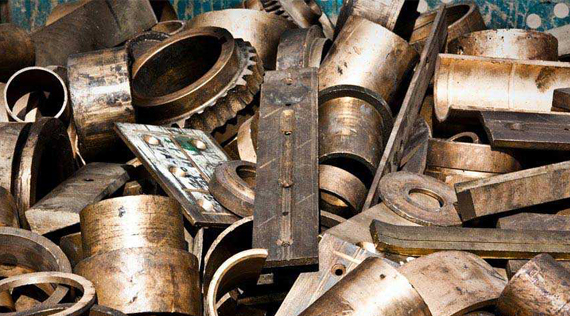 BEIJING (Scrap Monster): The Chinese copper scrap prices witnessed sharp rise on ScrapMonster Price Index as on Wednesday, December 31st. The #1 Copper Bare Bright and #1 Copper Wire and Tubing saw price rise of CNY 300 per MT each. The price of #2 Copper Wire and Tubing also increased by CNY 300 per MT. #1 Insulated Copper Wire 85% Recovery was up CNY 100 per MT to CNY 31,800 per MT. The price of #2 Insulated Copper Wire 50% Recovery went higher by CNY 50 per MT to touch CNY 26,150 per MT. Copper Transformer scrap prices moved higher by CNY 50 per MT. A similar up move of CNY 50 per MT was witnessed in Cu Yokes. Cu/Al Radiator prices increased by CNY 50 per MT over the previous day. Harness Wire 35% Recovery and Heater Cores were up by CNY 50 and CNY 100 per MT respectively on Wednesday, December 31st. Meantime, Scrap Electric Motors and Sealed Units prices remained unchanged from the previous day.